The summer holidays are rapidly approaching and many of us will have put some time aside to relax at home whilst the sun comes out and the temperature rises. If you’re one who’s looking forward to spending some quality time at home, there’s never been a better time to carry out some thorough cleaning work around the house. Apple Clean provide all kinds of cleaning service throughout the home, including an in-situ curtain cleaning service, which can prove to be particularly important during the summer. Here are three important summer cleaning jobs you should carry out over the next couple of weeks. The patio is likely to play a big part in your summer holidays, especially if you’re hosting barbecues and other outdoor events in the back garden. Simply brush away any loose dirt before acquiring an outdoor mop along with your own soap solution. Once you’ve done that, leave the solution to do its job for a while before the sun dries out the patio entirely. Remember that water can get trapped between patio slabs, causing the cement filling between them to weaken and plants to thrive, so be aware of how much of the solution you use. 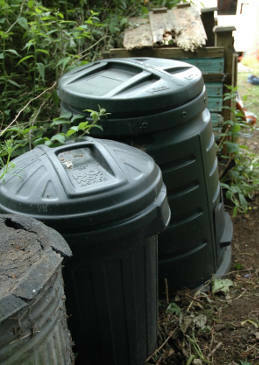 Rubbish bins should always be taken out in as little time as possible after reaching their peak amount. This is because the warmer weather can cause the bins to smell bad overtime, whilst it also attracts plenty of insects. If your bins are reasonably close to your home, be sure to clean them out at least once during the summer after they are emptied by the council. Compost can also attract pests, so try and keep it a reasonable distance away from the property and clean it when you get the chance. Just tip the bins on their side and use a cleaning solution with a scrubbing brush to get the job done. It’s pretty stuffy right now in the UK, so we’re all unintentionally beckoning flies and other pests into our homes through multiple open windows. A single fly can be a nuisance in itself, but you’re likely to have to deal with a whole host of flies, moths and crane fly’s during the summer, so insect repellent is a good thing to hold on to. Outside of the property, bees and wasps may be circling, so keep an eye out for any nests or hives that turn up out of the blue. We’ll be back next week with three more important summer cleaning jobs, so keep an eye on the Apple Clean blog over the next few weeks for all the cleaning advice and information you need this summer. Until then, why not get in touch with Apple Clean to learn more about our high quality, specialist cleaning services. We’d love to hear from you!